Wow! I bought this for Xmas and it not only arrived a few days earlier than anticipated (whew! ), it arrived more beautiful than I imagined. Super happy with this purchase that's built to last a lifetime. THANK YOU! I actually got the 3 tone stain but without a decal. 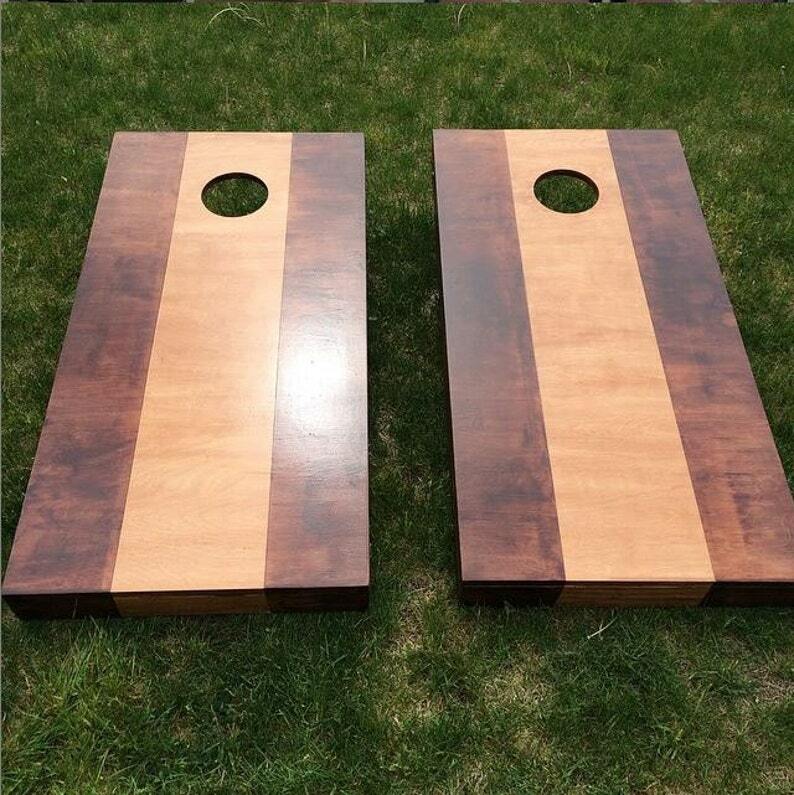 I am very happy with the way it turned out, it had been great for the month we've had the corn hole boards. This is a set I see us having forever. Definitely would recommend.